Lokar's Ford AOD Selector Shaft and Arm is the solution to hunting for the right part. By standardizing the shift linkage for aftermarket applications, Lokar has eliminated the guess work and saves you time and money. This fully adjustable shaft and arm finally allows for installation on numerous applications. Replaces factory selector shaft and arm. 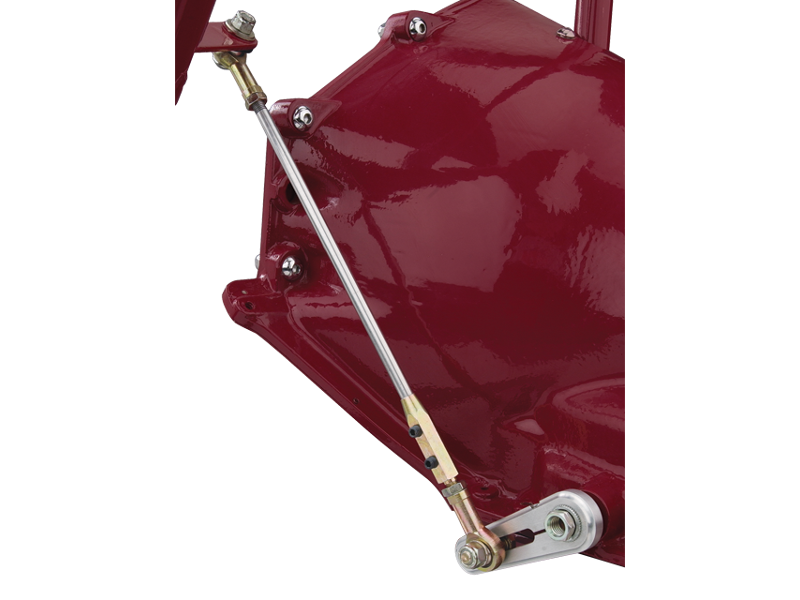 Adjustable arm simplifies finding the proper ratio between the shifter and the transmission. Arm designed to be installed in any 360 degree position for versatility. Kickdown seal installed in selector shaft. Zinc plated with stainless steel hardware. This kit offers the choice of Back-Up Light Switch OR Neutral Safety Switch Kit. 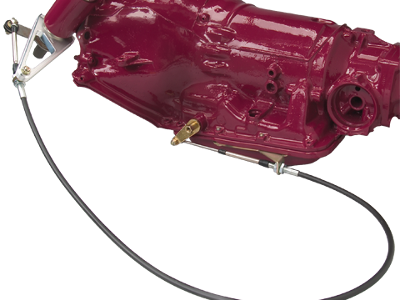 Kit fits TH-350, TH-400, 700-R4, TH-200, 200-4R, and 4L60 transmissions. Single trigger for back-up light switch, or double trigger for neutral safety switch. KIT WILL NOT PERFORM BOTH FUNCTIONS. All mounting hardware included. 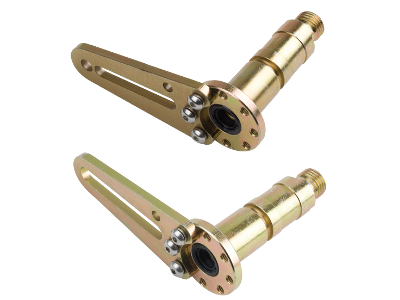 Lokar's Column Cable Shift Linkage is the ultimate answer to interference issues when you are unable to use factory or Lokar's hard column linkage. The cable allows you to route the cable around transmission, cross-members and brake pedals. Our Exclusive Billet Aluminum Mounting Arm can be used on either side of the column. Lokar's Column Cable Shift Kit allows you to use our shift indicator kits. It can also be used in conjunction with our Back-Up Light or Neutral Safety Switch Kit (BL-1400U) for most GM transmissions. Available in black housing, designed with specially extruded liner for extended life of the cable, and stainless inner wire measuring 6 feet in length. 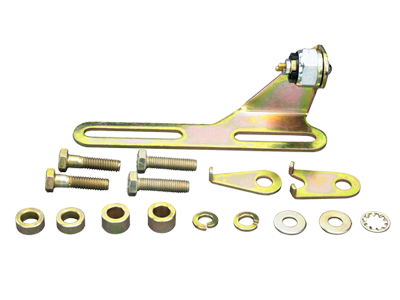 Ready-to-install hardware and brackets included in kit – no cutting or measuring – simply bolts on. Longer cables are available upon request. *Kits are available for TH350, TH400, 700-R4, TH200, 200-4R, 4L60 and 4L80E (short selector shaft only). *For all GM Transmissions except Powerglide, 4L60E, 4L70E, and newer transmissions. Does not fit Ford or Chrysler Transmissions. 3/4"-48 spline designed for 360 degree rotation allowing proper ratio. Both 3/8"-16 and M10x1.5 threaded nuts for mounting electrical accessories. 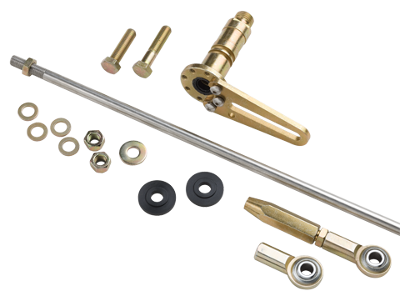 Kit includes all hardware, including column bushing and rod ends. 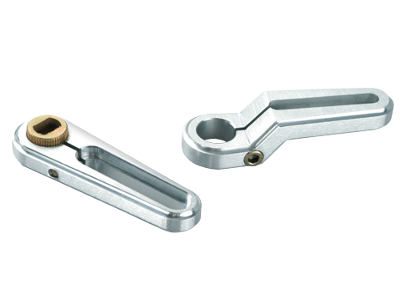 Stainless steel connecting rod can be bent for clearance around some obstacles. Fits GM TH-350, TH-400, 700-R4, TH-200, 200-4R, 4L60, 4l60E and 4L80E transmissions. Fits Ford C4 and C6 transmissions. Works with GM style factory or aftermarket columns. Allows proper ratio adjustment between transmission and indicator on the column. Kit Includes Lokar AOD or 4R70W/AODE Selector Shaft and Arm. Kit includes all hardware, including bushings and rod ends. "U-Cut-to-Fit" stainless steel connecting rod. All steel parts are zinc plated. AOD Selector Shaft and Arm also available separately.